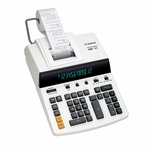 Canon's printing calculators provide advance features, high-speed performance, advanced calculations and two-color printing in an attractive design. Whether you're tallying earnings or calculating payrolls, get the answers you need with the accuracy and efficiency you expect from Canon. 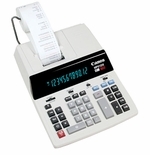 Canon's desktop printing; palm printing and commercial printing calculators provide simplicity, portability and convenience wherever you go.